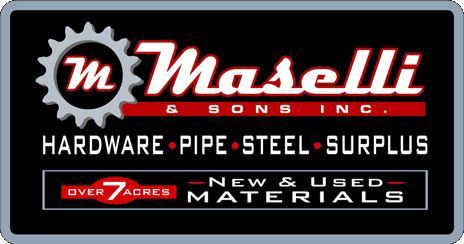 Salvage Yard - M. Maselli & Sons, Inc.
M. Maselli & Sons, Inc. is proud to be the largest new and used pipe and steel dealer in Northern California. Our salvage yard offers more than seven acres of new and used material of all types, sizes and varieties. Many refer to the yard as “A salvage goldmine," a perfect resource to find materials for your unfinished projects, works of art, home design and more. Over the years, many famous artists, film makers, engineers, and tradesman have journeyed all the way to Petaluma finding materials from the salvage yard for their works, displaying them for many to see; a true testament to its unique inventory of products many of which are irreplaceable.